Get up close and personal with Australia’s fascinating wildlife on this four-day adventure. 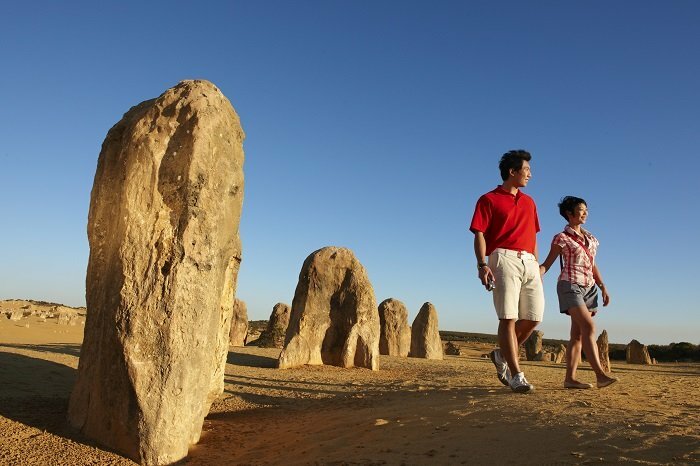 Our Monkey Mia tour lets you explore scenes of natural beauty like the Pinnacles Desert, try your hand at adventurous, adrenalin-pumping sports, and learn more about the region’s incredible animal life. Please note: this tour is only suitable for those aged 18 – 50 years old. Please include your date of birth in the notes when you book. We can accommodate most dietary requirements with prior arrangement. Please make us aware of any dietary requirements at the time of booking. 2 towels, sturdy walking shoes, warm clothing, rain jacket, hat, sunglasses, large water bottle (1.5L), small torch, sunscreen, insect repellent, camera with LOTS of memory and battery. 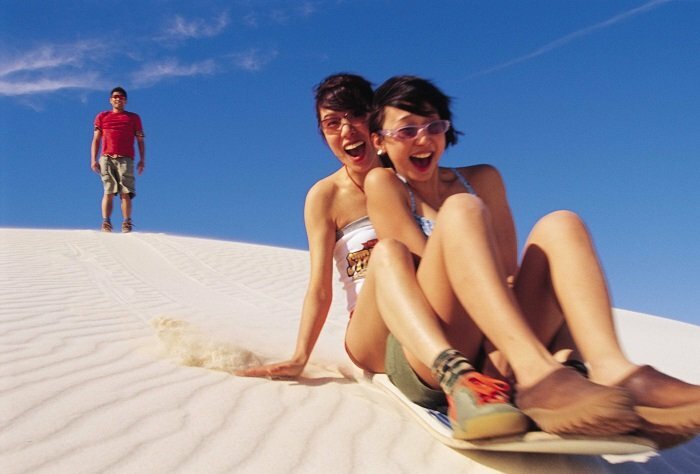 The tour kicks off from Perth, where we’ll head straight to the world of sand boarding on the Lancelin Dunes. You’ll whizz down the sandy peaks at high speed, exploring the desert landscape from a different perspective. 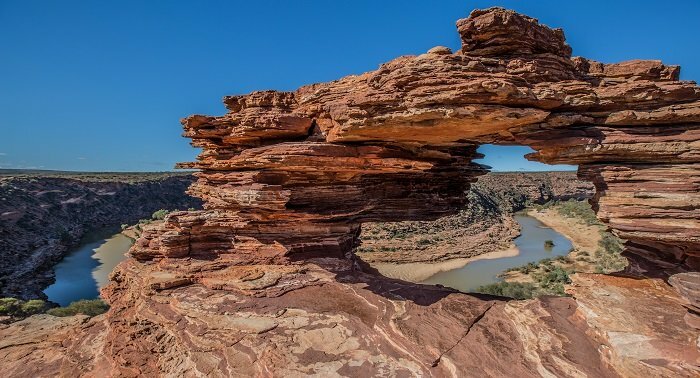 Discover a unique and historic landscape with a guided tour of the Pinnacles Desert followed by with a delicious lunch, before arriving in quaint township Kalbarri, where we’ll spend the night. 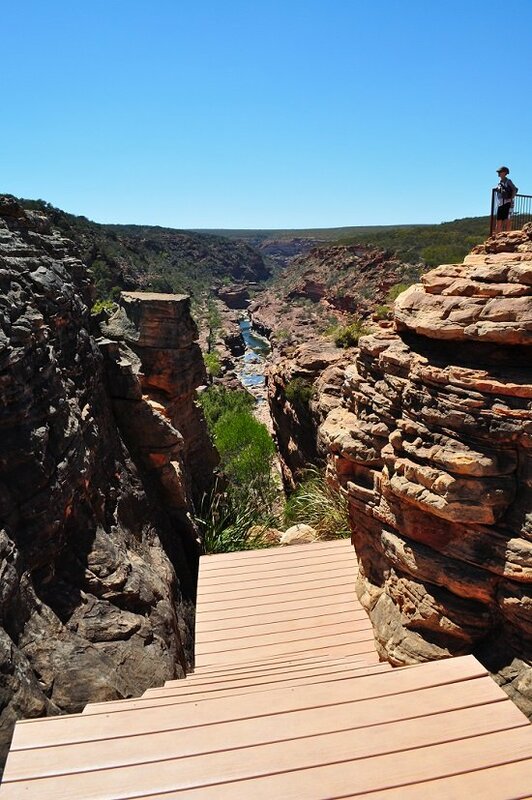 Day two starts with a visit to Muchison Gorge, Natures Window, and Z-Bend in the lush confines of the Kalbarri National Park. If you want to get adventurous, you can try your hand at abseiling into the gorge before cooling off in the nearby beach! Then we’ll head north to pretty Shell Beach and the Denham for the night. 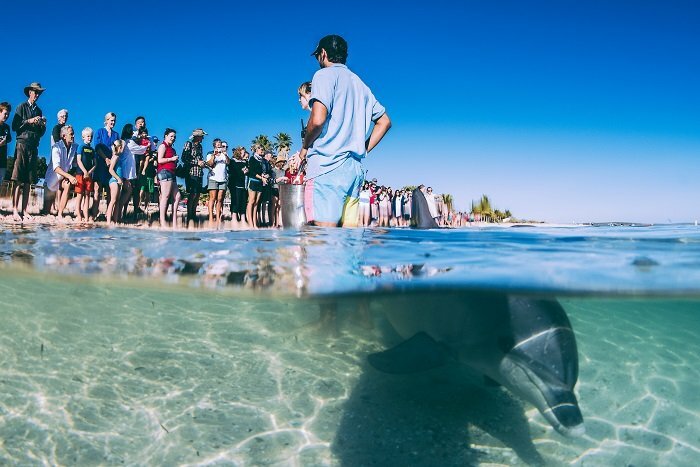 On the third day, you can meet the beautiful famous Monkey Mia Dolphins. At the resort, you can get up close and personal with them for some once-in-a-lifetime photo opportunities before taking an optional one-hour sail through the sea to spot even more mesmerising marine life. Alternatively, you can opt to take a kayak around the coastline or simply kick back and relax on the stunning expanse of beach. 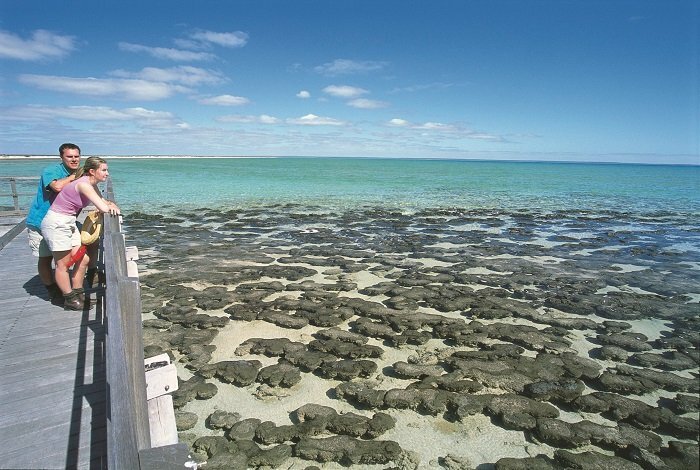 In the afternoon, we’ll make our way to the Stromatolites before bedding down for the night in the Kalbarri township. 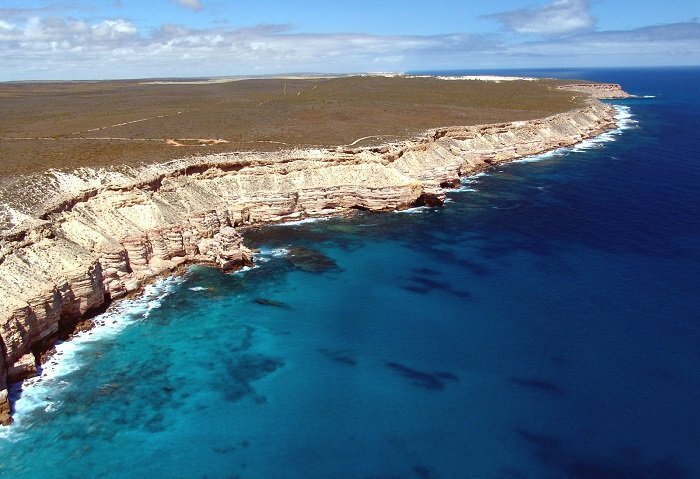 The final day starts with a trip to Kalbarri coastal cliffs and Pot Alley, a stunning ocean gorge that is surrounded by breath-taking scenery. 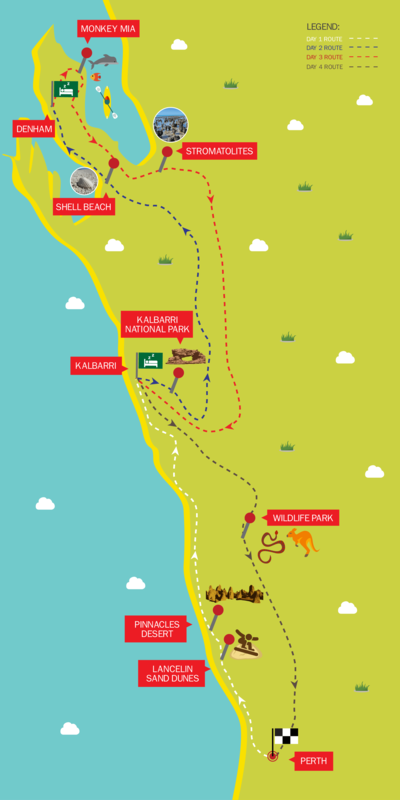 After you’ve soaked up the views, we’ll move on to the a wildlife park, where you can hand feed the resident kangaroos and spot the friendly snakes. From the wildlife park, our 4 Day Monkey Mia Tour concludes in Perth where we drop you back.